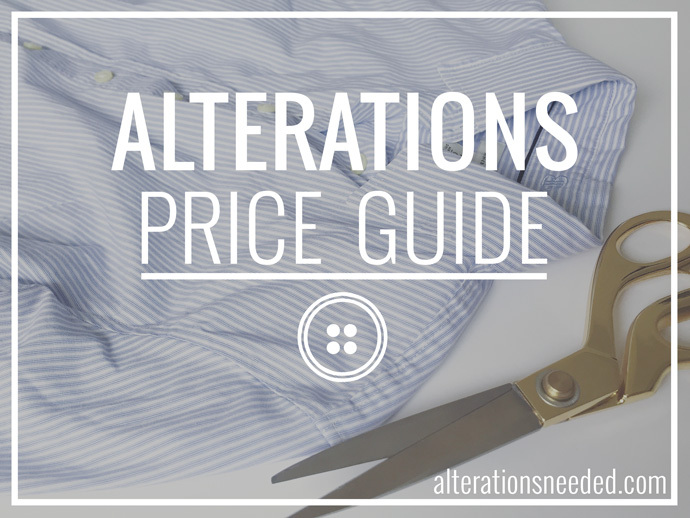 Since I get so many items tailored and am always asked about how much alterations cost, I’ve compiled a pricing guide below. I hope this is helpful for anyone looking to assess the feasibility of altering anything from a recent shopping find, to thrifted items, or even handed-down family vintage. The price guide below has been gathered from various sources around the web, as well as my own experiences having things tailored by multiple shops around California.